Fast Track The Highly recommended episodes. If you only want a small sampling of episodes, look here! Recommended Track For most people: watch both the Fast Track episodes and the Recommended episodes. You'll get quite a lot of Doctor Who, without having to sit through the slower stuff. Some stories are marked as a partial watch – this means you should watch it, but not all of it – just certain episodes. Maybe Track If you're interested in a more thorough watch, you can also watch the episodes on the maybe track. These aren't neccesarily bad episodes, just ones that are hard to recommend. Avoid These episodes are only recommended if you're truly curious and dedicated. This guide is currently a work in progress, and only goes as far as I've watched so far. I started watching through the episodes for this guide in early May 2018, and I'm still going strong. Note: be aware that a lot of classic (and modern) Doctor Who episodes include flashing colours and lights, which may cause issues. A lot of the black and white episodes were destroyed by the BBC to make room for other programs, so all that remains of them is fan reconstructions. The reconstructions are well made, however they can be hard to watch – don't make yourself sit through them if you're having trouble with them. The reconstructions are clearly marked, so you should be able to tell which ones they are. Note that the partial reconstructions (the ones where not all the episodes are missing) are often much easier to watch than the complete reconstructions, so they have been marked differently. You might find this series helpful. You might also be interested in my guide to the audio dramas. 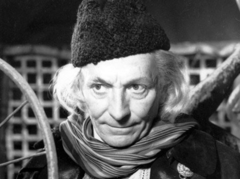 William Hartnell played the role of the first Doctor. The early days of Doctor Who are a lot slower paced than a modern viewer would expect, but they have a certain charm to them, and by the second season the pacing has already improved greatly. Don't watch, this story is incredibly slow paced, so I can't recommend it, unless you really want to watch the origin of the daleks. Review The main cast is fleshed out a lot in this story, and there is a lot of tension. But the pace is excruciatingly slow. Review One of the first historical stories, and it works really well as a contrast to the stories around it. The villains are more complex and the problems they face are more personal. Not much action – which means the lack of video isn't a problem. Review This is a big story, divided into several little ones – a format that works very well, and mitigates a lot of the pacing issues the early seasons had. However the script was rushed, and you can tell – as such, this story isn't recommended because of how good it is, but because of how it is emblematic of the first season. Review The Aztecs is a "historical" story, but it's such an innacurate view of the situation that it can hardly be called that at all. However, it is a very interesting plot. Maybe, it is very interesting, but also very slow. Susan leaves the TARDIS to marry David, and help humanity to rebuild. The Doctor says a very heartfelt fairwell, and that scene alone is definitely worth watching. Review Very short, and quite interesting. It introduces a new regular cast member, and does so quite well! Vicki, a young crewmember of a crashed spaceship, joins the TARDIS crew. Review This story is incredibly dull, and full of obnoxious and annoying sounds. It's a shame – the concept is good, and they clearly put a lot of effort into making an alien planet with the sets and costumes. Review Exceptional quality, with some incredibly good acting. The two reconstructed episodes are, of course, harder to watch, but the other episodes in this story make up for it in spades. Review An all-round decent story. It was clearly intended to be a somewhat self-aware parody of the format of the show, but is played completely straight, which is weird. Synopsis The TARDIS crew are chased through time and space by the daleks..
Barbara and Ian are sick of travelling with the Doctor, and want to go home. They take the dalek time machine and return back to Earth, to continue their lives. Steven, a human who had been imprisoned on the planet, manages to get into the TARDIS just before it dematerialises. Review I like this story, even if it is a bit slow. The Time Meddling Monk is introduced, as well as the idea that there are other people with TARDISes. Review It's passable, nothing to really write home about. The Loose Cannons reconstruction works well, especially considering how little surviving footage they had to work with. Review This episode is very unique, because it does not feature the doctor or any companions at all. It's worth a watch, just for the sheer uniqueness of it. Review A silly concept, with poor execution – the trojans are portrayed as unbelievably dense, and then Vicki falls for one and runs off with him. I had trouble suspending my disbelief for this one. Vicki stays with a warrior from Troy, to help him rebuild. (As I mentioned above, I did not find this a particularly realistic or interesting way for the character to be written out). As she leaves, she sends Katarina, a handmaiden, into the TARDIS to help the Doctor. Katarina is killed while saving the Doctor from an assailant (the first death of a companion in the series). Sara Kingdom, a former guard of Mavic Chen, joins the Doctor for a while, but she too meets her end. The story concludes with the Doctor and Steven lamenting their deaths. Review Not an awful story, and would be a 'Maybe' if it weren't for the fact that it's a reconstruction, and very difficult to watch. Dodo Chaplet, the descendent of one of the characters in Paris, joins the TARDIS while it makes a pit-stop in 1960s london. Review Not much to say – a solid story, and fairly fun to watch. Review A very good story, that feels very well paced – one of the few reconstructions that I didn't have difficulty watching. Steven stays behind to help humanity rebuild and repay the savages for what they had done. Dodo is hypnotised so the doctor sends her to the country to recover. She decides to stay there. Polly and Ben, who are both major characters in this story, enter the TARDIS just before it dematerialises. Review This is a good story, however the doctor is absent for half of it, and thus we don't really get to see much of what made William Hartnell great. 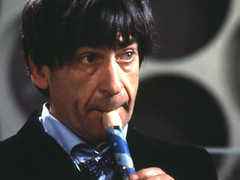 Patrick Troughton played the Second Doctor. The Second Doctor's stories are more action packed than the First Doctor's, and that brings a breath of fresh air. Unfortunately, many of the Second Doctor stories are missing. Watch, make sure to watch the animated re-release! Review An interesting take on a Dalek story, where humans cause more issues than the daleks do. Review One of the better historical stories (and the last). I'm glad that Doctor Who moved away from this format, but this was a good story regardless. Jamie, a Scotsman they befriended, is invited to join the travellers in the TARDIS. Synopsis The travellers find themselves in the underwater city of Atlantas, where a scientist has hatched a plan to raise Atlantas up... but at what cost? Review A decent story, and still watchable - half of the episodes have been recovered. The costumes for the fish people are.... not amazing, however. Review A really good sci-fi story, and a really good cybermen story. Review A fairly good story, and the reconstruction works quite well. Would be a "Watch" recommendation, if the full episodes still existed. This story also develops both Ben and Jamie as characters, and gives them an interesting dynamic. Review This story is incredibly creepy and incredibly tense – possibly one of the creepiest stories. It is definitely worth watching, despite the reconstruction – if it wasn't missing episodes, it would have a ✨Highly Recommended✨ rating. Ben and Polly, upon realising that they are back in London on the same day that they left, decide to return to their normal lives. Review This is a really interesting dalek story – it's slow burn, but also the stakes are high and it manages to keep you on the edge of your seat for quite a lot of it. The reconstruction team went to a lot of effort to recreate this one, with several CGI sets and animated sections, making it one of the highest quality reconstructions. Victoria Waterfield joins the TARDIS. Review A very good story – it's a lot more action focused than previous cybermen stories, but it also has a lot more intrigue, and is well paced. The cinematography in this story is also much more impactful than usual. Review Slow and dull, and the villain's plan doesn't make any sense. One of my least favourite stories so far. Review Patrick Troughton's performance in this story (as both The Doctor and Salamander) is incredible, and that alone is worth the watch. The plot is full of intrigue and mystery, and kept me engaged the entire time. It's not your standard Doctor Who story, which might put some people off, but it's well written, well made, and well acted. Review This story is not worth watching. Frustratingly, the story itself isn't bad, but it's exactly the kind of story that is ruined by having to be a reconstruction. Victoria decides she's had enough of running into danger everywhere they go, and stays behind. Review This story has a dull start, but an exciting end. The Quarks are a cool enemy, but much of the rest of the story is predictable and formulaic. Review This story has a lot of random events and a lot of faffing around, and it feels disjointed and rather pointless. The first episode is interesting, though: there's the strangeness with the Tardis being out of time, and a great scene at the end of the first episode. Review Very millitary focused, and a bit long, but definitely one of the better stories. Review A fairly standard Doctor Who story. Well made, though. Review A pretty good action story. This story introduces the Time Lords. For his meddling in time, the Doctor is forced to regenerate, and Zoe and Jamie are sent back to their own time periods (after their memories of their travels with the Doctor have been wiped). 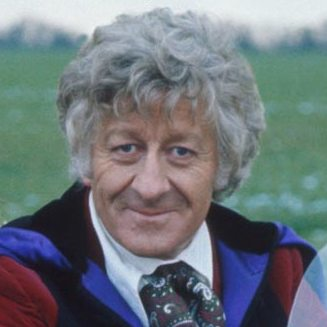 Jon Pertwee played the Third Doctor. Now that the Doctor has been exiled, the next few seasons are very Earth focused, which is a nice change. Another nice change is the change to colour. Review A really good first story for Pertwee's Doctor. The acting is good, the plot is interesting. It's also 4 episodes, which is a very comfortable amount – this story definitely doesn't outstay its welcome. This story introduces Liz Shaw, the Doctor's assistant at UNIT. It also establishes the Doctor's somewhat unwilling employment at UNIT. Review Not as amazingly paced as the previous story, but still quite good. Review This story has a very good concept, but the pacing suddenly breaks down and it gets overly complex in the middle. Review Tense and exciting, but just a bit too slow to be more highly recommended. The parallel universe is pulled off very well, and having the story progress in both universes at once is really interesting. This is the last story to feature Liz Shaw (although her leaving is never shown). Review A very good story. The Master is played in an incredibly sinister way, which adds a lot to the story. Jo Grant is introduced as the Doctor's new assistant. Captain Yates is introduced as an important character in UNIT. The Master is introduced. Review A very good story. It's particularly interesting that the Axons seem generous and friendly at first, which is refreshingly new for Doctor Who. The Master is captured and imprisoned. Review A fun romp, which is exciting and engaging all the way through. Review A really good story, and the concept is quite unique. The only issue is the first episode is a bit dull. Review A very good and interesting story, that touches on a lot of interesting concepts. The political angle it takes near the beginning is very interesting, and the sci-fi angle it takes near the end keeps the story from dragging on too long. Synopsis The Master is attempting to summon the ancient god of Atlantis, Kronos, a creature from outside of time with great powers. Review An ok story, but the initial scenes in Atlantis are a bit dull and the Master's actions make no sense. Review A very good story, and very suitable for the 10th Anniversary. Seeing Troughton and Pertwee interact together is great, and equally great is seeing them solve problems in their own different ways. I wish that Hartnell had been able to have a more active role, but his relatively minimal presence didn't impact my enjoyment of the story. Review An incredibly good story, which combines political drama with action and mystery. Review This one was fine, but the middle episodes feel like padding and it seems to fall prey to the trap of "It's a dalek story, so it must be long and epic", rather than trying to tell a concise and exciting story. Jo leaves the Doctor to travel the world with Professor Jones. Review A very good introduction to Sarah Jane, a great introduction to the Sontarans, and a great story overall. Sarah Jane Smith joins the Doctor. Synopsis The Doctor and Sarah Jane Smith return to London in the present day, only to find it mysteriously abandoned... and invaded by dinosaurs! Review One of the better of the 6 episode long stories – engaging and enjoyable. Review This doesn't feel fresh. It feels like a worse version of every previous dalek story from Terry Nation, and while it has a few interesting concepts (like a sentient city that can rebuild itself), it doesn't do enough to make up for the fact that it's trite, not to mention the racist undertones (and overtones). Review A well produced story, but it feels like "The Curse of Peladon, but again and with a less interesting twist". ✨ Highly Recommended ✨, but note there are white actors in makeup to make them appear Asian, and there are some ableist themes. Review A very good story, and a great last story for the Doctor. 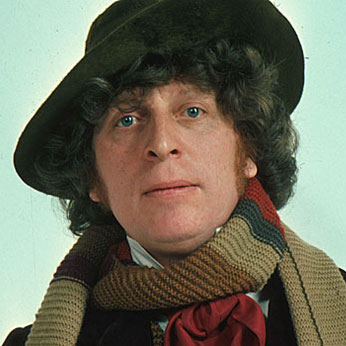 Tom Baker portrayed the Fourth Doctor, and was the actor who played the role for longer than any other (nearly 8 years, June 1974–March 1981). The show's popularity increased dramatically with Tom in the role, and he's almost certainly the Doctor in many people's eyes. This era of the Doctor saw some major changes, as well — UNIT is slowly phased out (only appearing in 4 stories — "Robot", "Terror of the Zygons", "The Android Invasion", and "The Seeds of Doom" — all in seasons 12 and 13), and the show returned to a focus on exploring time and space. Review A great introduction to the Fourth Doctor, and engaging all the way through. Harry Sullivan, a medical doctor from UNIT, joins the TARDIS. Review A very good story, full of interesting sci fi ideas and action. Review This is a fun little story. The script editor, Robert Holmes, decided that 6-part stories were often too long and decided to do a 4 part story and a 2 part story instead. That decision makes things so much more watchable. Review A good story, that gets increasingly tense and interesting as it goes on. Review A bit uninspired, and somewhat dull. Review A great send off for the Brigadier, and a good story that emphasises both the best parts of UNIT stories, but also demonstrates why the Doctor wants to leave. Harry decides to stay on Earth with UNIT. This is also the last regular appearance of the Brigadier. Review Amazing sets, and it stays interesting throughout. And a bunch of others on the fediverse for helping me make the colourscheme in this document less garish. The Ice Warriors, where I watched both the Loose Cannons reconstruction and the BBC one. The Loose Cannons reconstruction matches recovered frames to a full length audio of the episodes, whereas the BBC one cuts out unnecesary scenes and fills in actions with narration. The BBC reconstruction is more enjoyable, in my opinion.